The recreational vehicle (RV) park is a uniquely American institution (although the trend has gone international in recent years). Ranging from campgrounds for vacationers to parks where owners of single-wide and double-wide mobile homes set up permanent residence, there are more than 38,000 of these locations across the United States. From a resident’s perspective, an RV park offers the perfect marriage of value and convenience: inexpensive home ownership or rental in an environment where they can rely on others to maintain the surroundings and improve the neighborhood. For seniors who wish to travel during retirement or ‘snowbirds’ who head south when the weather turns cold, RVs make many dreams a reality. Of course, not all RV parks are managed well. Many are allowed to fall into disrepair and give the industry an unfortunate reputation. But, properly maintained and managed, an RV park can be a satisfyingly tranquil lifestyle for residents and owners alike. Have you ever considered buying an RV park? Here are the benefits of owning one, the main types of business model and how to maximize your chances of success. 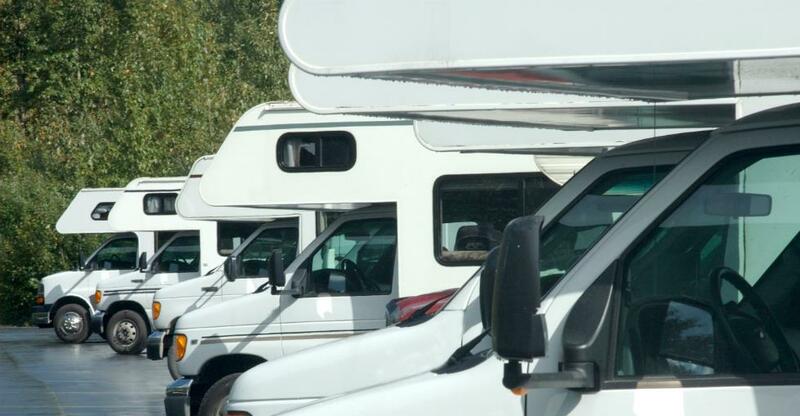 Unlike some other forms of real estate, RV parks are well insulated from economic downturns. This is because they offer low-cost housing, demand for which only grows if wages stagnate or unemployment rises. Permanent mobile homes also offer an excellent opportunity for young couples and first-time home buyers of modest means to rent or purchase a home at a much lower cost than other options. And the traditional American road trip isn’t going to disappear from our culture anytime soon. RVing remains a popular means of travelling for young and old alike and RV owners will always need a clean, safe and reliable place to park their home on wheels. There are two main business models in this sector, entailing a trade-off between responsibility and moneymaking potential. The easiest and least expensive option is to purchase the land on which mobile home or RV plots already exist and rent the plots to individuals who own an RV or mobile home. Your responsibility is limited to the upkeep of the property itself, general security and utilities such as water, sewers and electric. You have no responsibility for repairing, maintaining or replacing the homes themselves or anything in them, which relieves you of most potential headaches that come with being a landlord. However, taking on greater responsibility by buying and renting out mobile homes on your property brings with it a much higher income potential as well as more control over tenancy and rent. Of course, it means you’re responsible for the homes as well, from clogged toilets to leaky roofs and everything in between. Finally, we then approach the upper echelon of RV parks – the luxury standard. These types of park cater for the customer with a higher level of income, and significantly more discerning taste. They may include well kitted out recreation centres, hot tubs, bars and even fine restaurants. Along with this, they’ll generally limit the types of RV that are allowed on the park. These types of park require more investment, more staff, and more of your time, but they come with significantly higher rewards than a simple plot of land. Which of these vastly different business models do you think you could work from? Do these things and you can count on occupied plots, happy tenants, and long-term contracts and/or lots of repeat customers. Still interested in getting into this sector? Check out our RV parks for sale and campgrounds for sale .